If something interests you, feel free to click here and sign up for open courses! If your interested in participating in this challenge, where you take 30 days and dedicate it to your health, you change NOTHING except the food your eating, and SEE WHAT HAPPENS! you do all this with the help of a registered holistic nutritionist who has been practicing for years and has a plethora of knowledge gathered from all around the world. Check out updates on Twitter and Facebook and Youtube! Greatest Local Farm Marketing Event.... EVER! 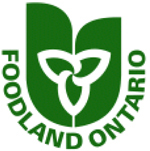 I have the pleasure of being a presenter at a Foodlink and Foodland Sponsored event. This event will be a peak into how to successfully market your products to local consumers who avidly seek out your product! How to keep customers and how MAXIMIZE on any advertising spending. If you have a farmer you love or you are a farmer and want to expand your business, your offering or more effectively market your business in a way that WORKS WITH your lifestyle - here is where you need to be!